Who would not enjoy having a BBQ? 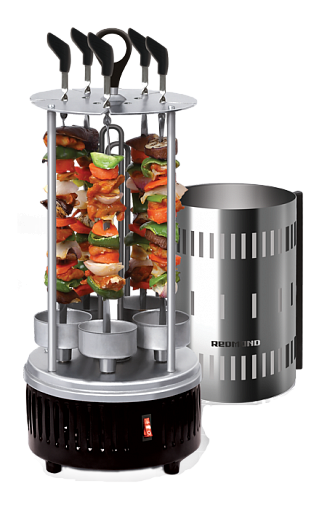 Give yourself electric BBQ REDMOND RBQ-0252-E and enjoy a wonderful BBQ all-weather and year-round! Tube infra-red quartz grill combined with cylinder reflecting casing create an effect of red-hot charcoal heat. 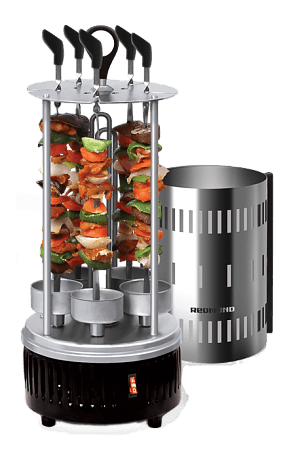 Thanks to smooth simultaneous rotational mechanism of five skewers the food is grilled equal from all sides and isn’t burnt. All of this guarantees you wonderful result - rich, flavourful, brown BBQ, with which you can treat your best friends.